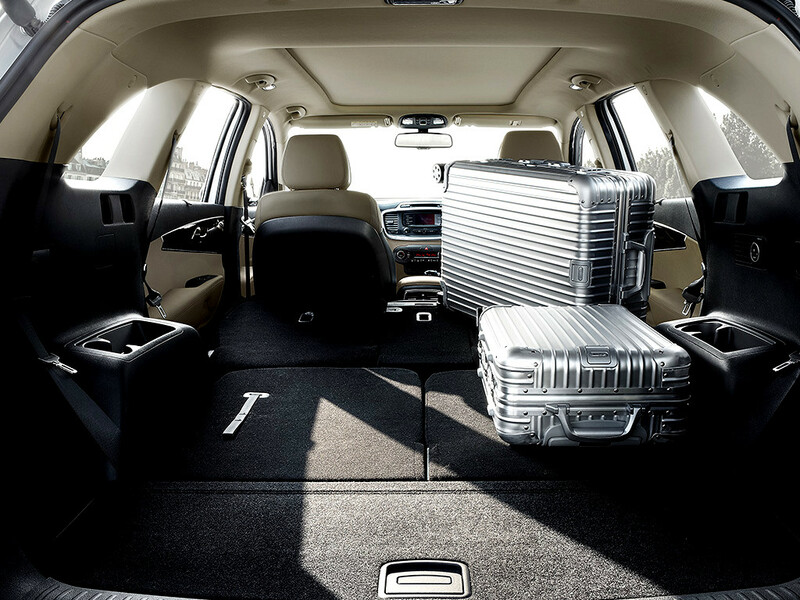 An SUV designed for every adventure. 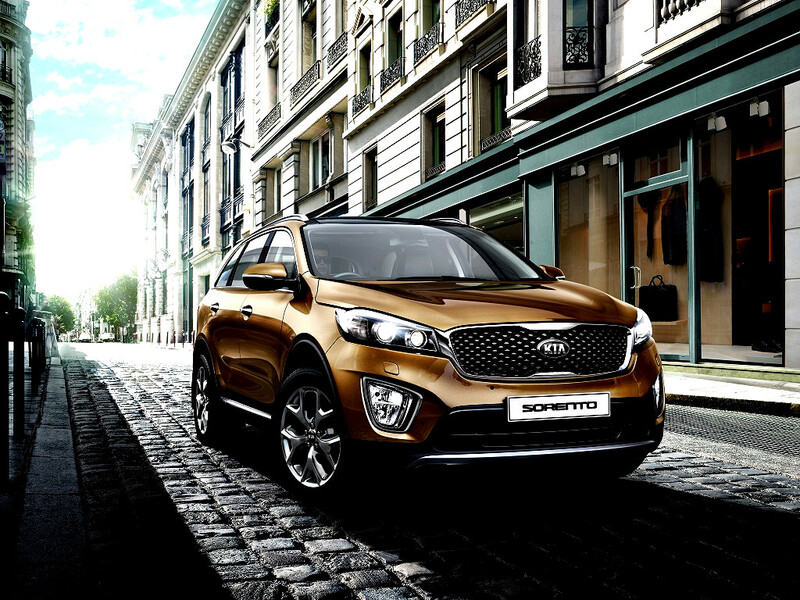 The sleek and agile Sorento brings luxury, technology and practicality to the street with ideally balanced proportions. Advanced handling dynamics, forward-thinking safety features, and truly empowering connectivity come together in a sophisticated package that helps you navigate the demands of modern life in style. 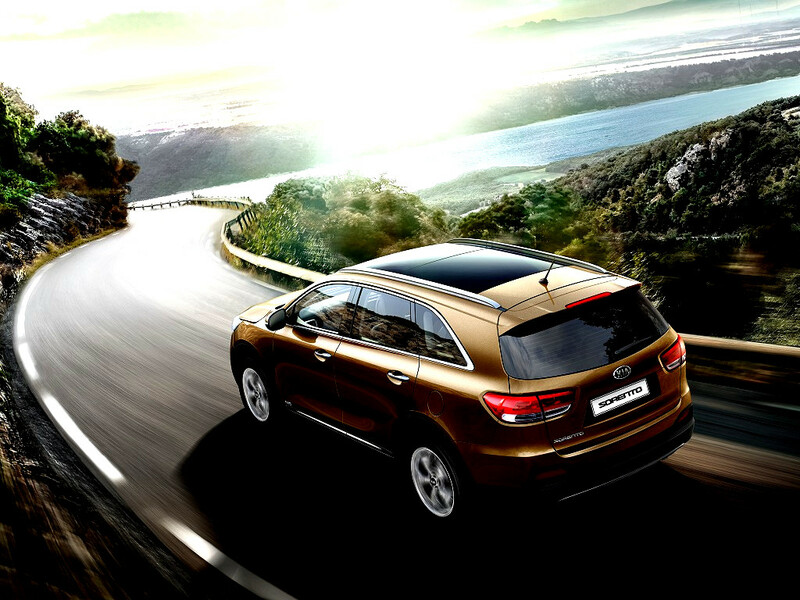 With its fine craftsmanship, sleek instrumentation and powerful, targeted ventilation, the roomy Sorento interior is a refuge of sophistication.The high-visibility display in the centre gauge reports outside temperature, audio information, distance to empty and overall fuel consumption. (EX and SX only). 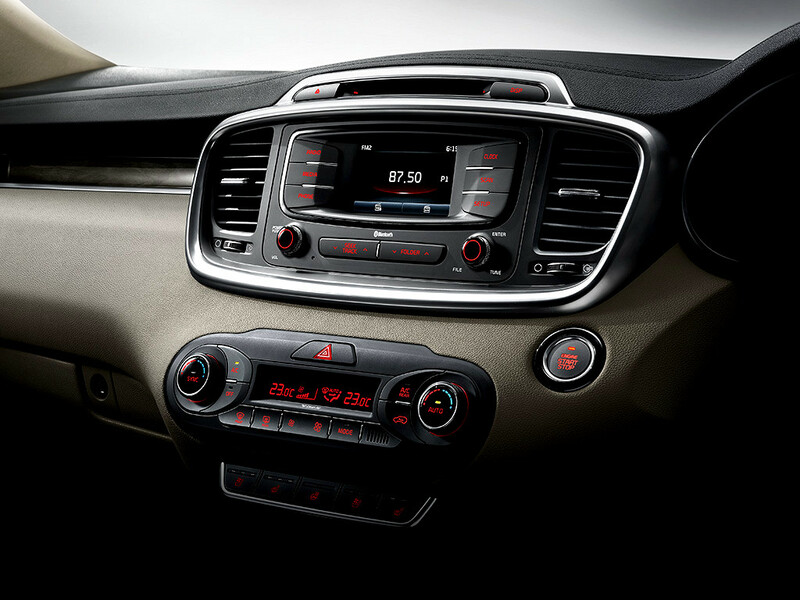 The inner door handles, air vent surrounds and other interior design features have satin-chrome finishes. (EX and SX only). 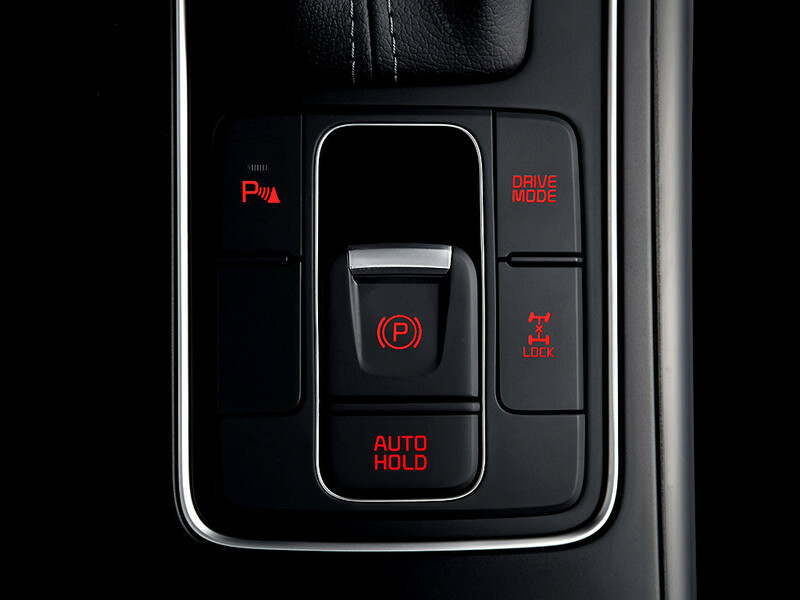 The floor console design is more efficient thanks to the adoption of an electronic parking brake and the elimination of the manual handbrake lever. (AT only). 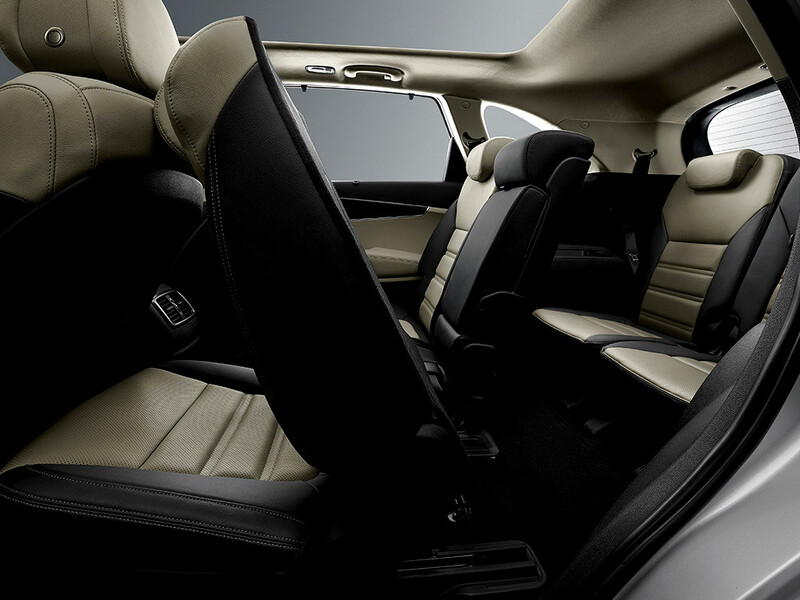 Rear passengers can adjust airflow with vents and controls mounted at the back of the centre console. USB and 12V outlets allow for charging a variety of devices. (EX and SX only). 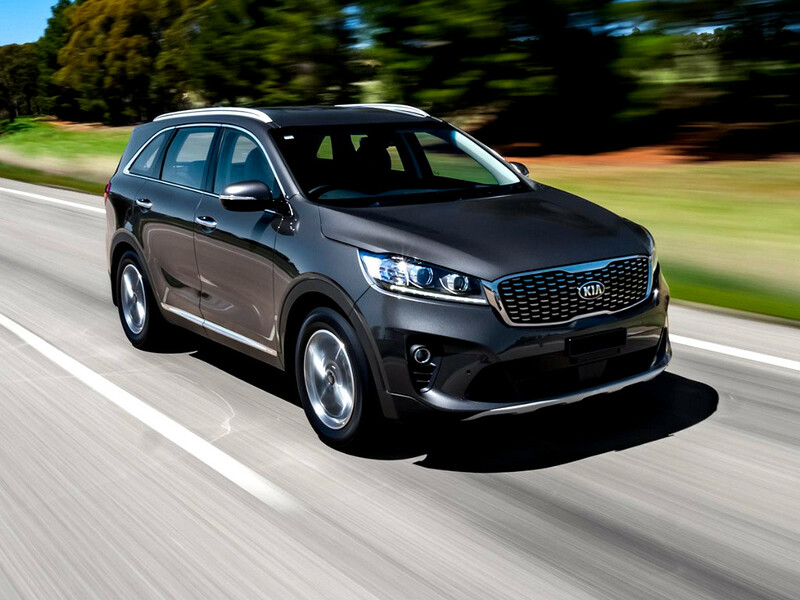 The rugged new KIA Sorento takes you to exciting new places, and offers you the equipment needed to make the journey with style and confidence. 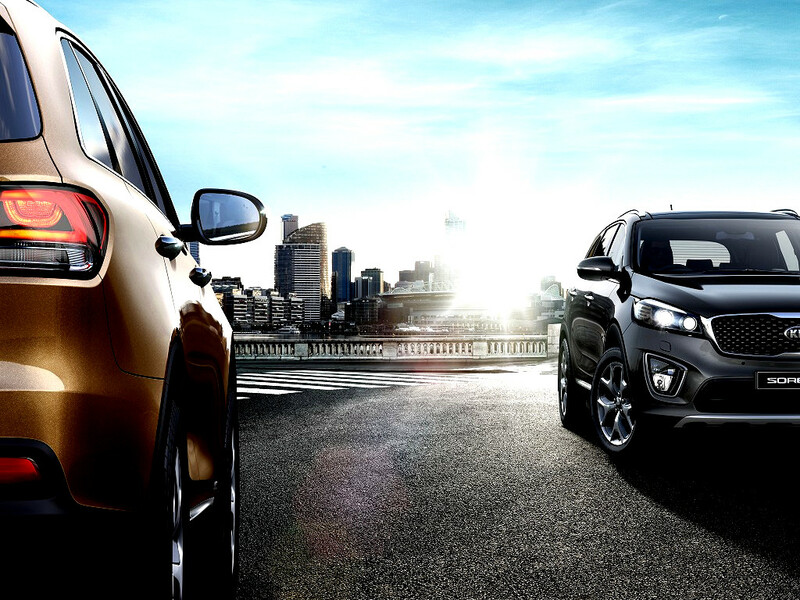 With its newly elevated headlamps and bonnet, the Sorento cuts a bold and substantial figure on arrival. 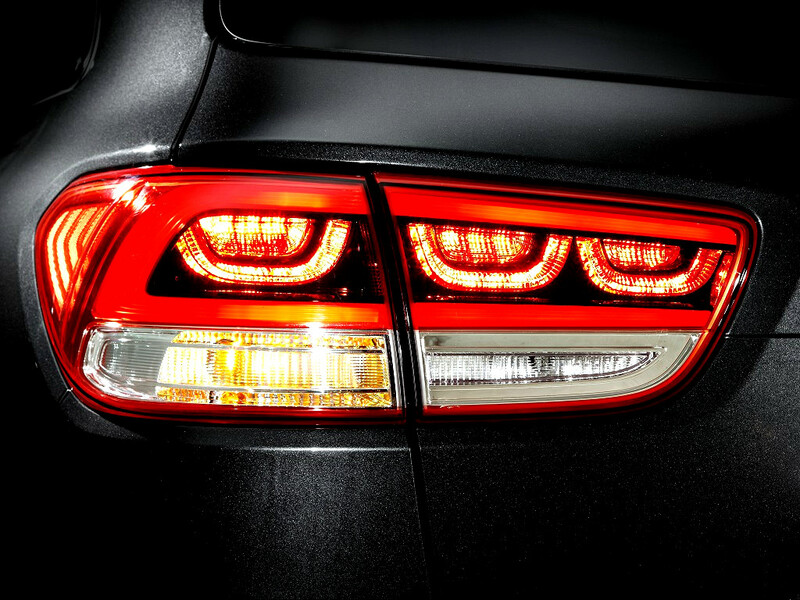 At the rear, bright LED stop lamps integrated into the tail lamps communicate instantly with following traffic. A handsomely contoured rear spoiler helps to manage airflow over the rear of the vehicle and incorporates a High-Mounted Stop Lamp (HMSL). Body colour grip-type handles come as standard on the LS and LX models, while the EX and SX models feature chrome-finished handles. LED tail lamps and stop lamps are integrated into the tail lamp clusters. LEDs illuminate faster, last longer, and are more energy efficient than conventional bulbs. (Only on LX, EX and SX models). 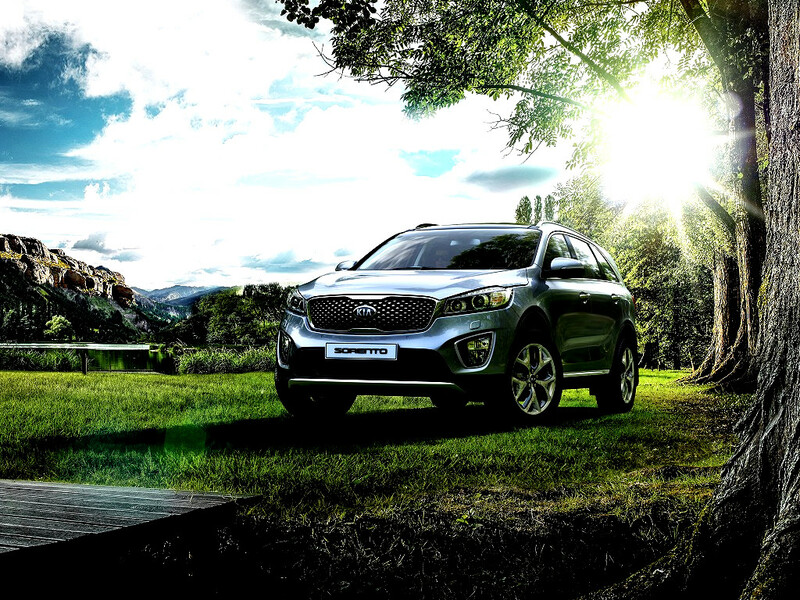 The new grille designs feature the famed KIA look, while bringing out the confident character of the Sorento. Safety above all else. 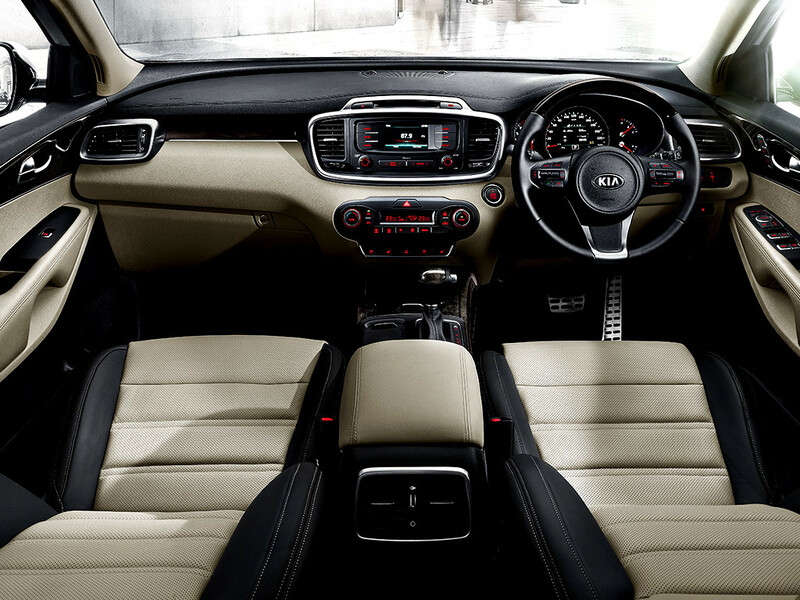 Feel protected inside the Sorento cabin where you are surrounded by a safety cage design fortified with ultra-high-tension steel and a 6-airbag SRS system (LX, EX and SX only). Thoroughly tested in countless crash simulations and actual collision tests, we?ve given the unthinkable quite a bit of thought so you don?t have to. These estimated calculations exclude any “on the road / service and delivery fees / insurance / Excludes bank initiation fees additional vehicle accessories and any other (VAPs) value added products”, unless otherwise stated. Imperial Select.co.za provides these calculations for your convenience and provides results based on assumptions and it should not be used for any other purpose. Imperial Select accepts no responsibility for any loss or damage of whatsoever nature that maybe caused or brought about, directly or indirectly, by the use of our calculations. These calculations are intended only to provide guidelines and are subject to confirmation at the time of finalising any transactions. Figures generated by the calculations shall not be binding by any financial institution. The information provided should not be treated as professional advice of any kind. Financial ServicesCopyright © 2019 KIA Select. All rights reserved.